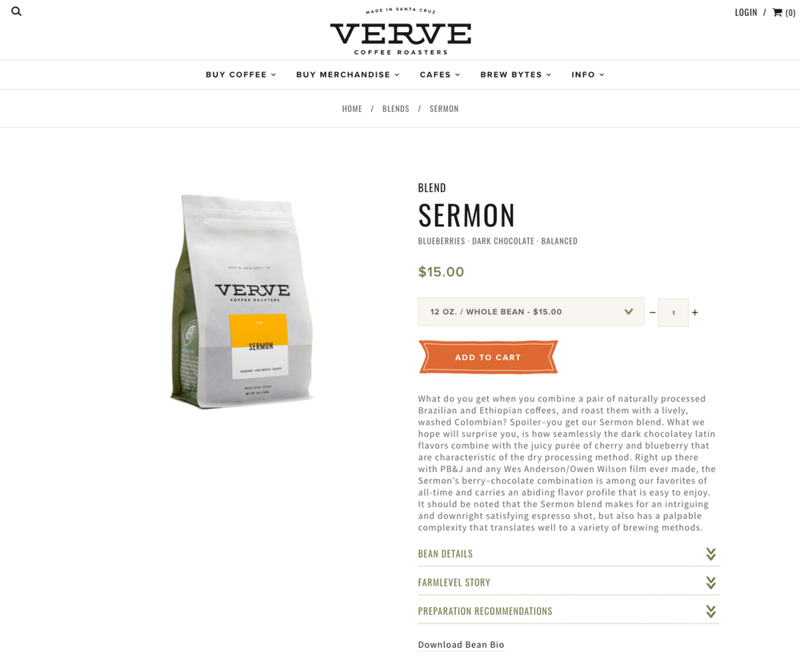 We worked with Verve Coffee to build custom pages on their existing Shopify store. We helped create a custom image slider that showcased some of their newer coffee brands, along with some custom coding for their blog layout. Check out the site below.